The increasing use of video DSLRs, flashes without modelling lights and cameras without decent autofocus assists has created a new demand for compact LED video lights. 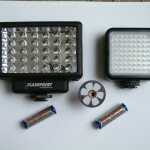 Here we compare three cheap $30 lights. The increasing use of video DSLRs, flashes without modelling lights and cameras without decent autofocus assists has created a new demand for compact LED video lights. 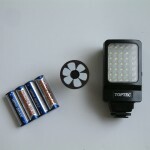 Here we compare three budget lights, each available for about $30: the new Yongnuo SYD-0808 and two other brands. Thanks to kyhsmith52 on flickr for this detailed review. 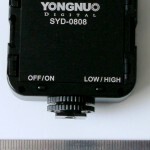 The Yongnuo SYD-0808 is a compact LED video light, also known as an “interview light”. 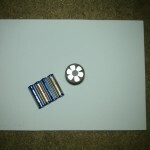 It measures 75 x 75 x 32mm, and so is barely larger than its power source of 4 AA cells. 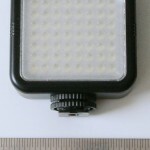 The unit uses 64 3mm white-light LEDs. There is a frosted lens over the LED array that makes for a nice, smooth light pattern. 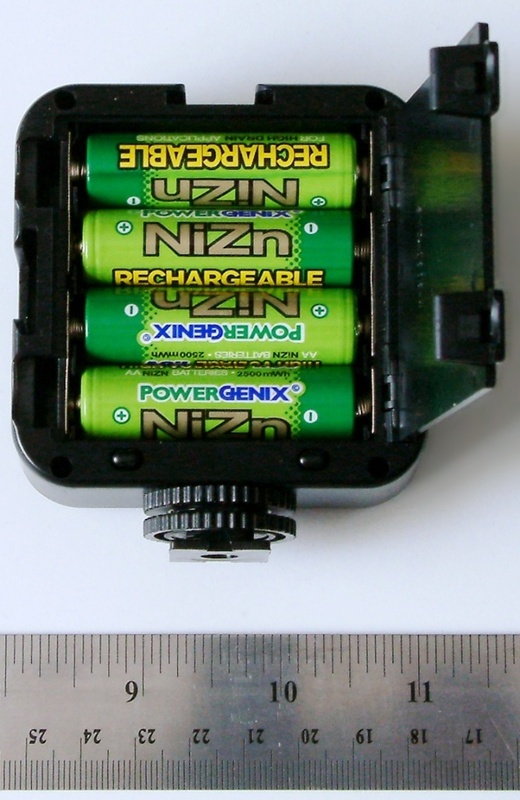 There are two push-button switches on the back panel for power and power level (low/high). 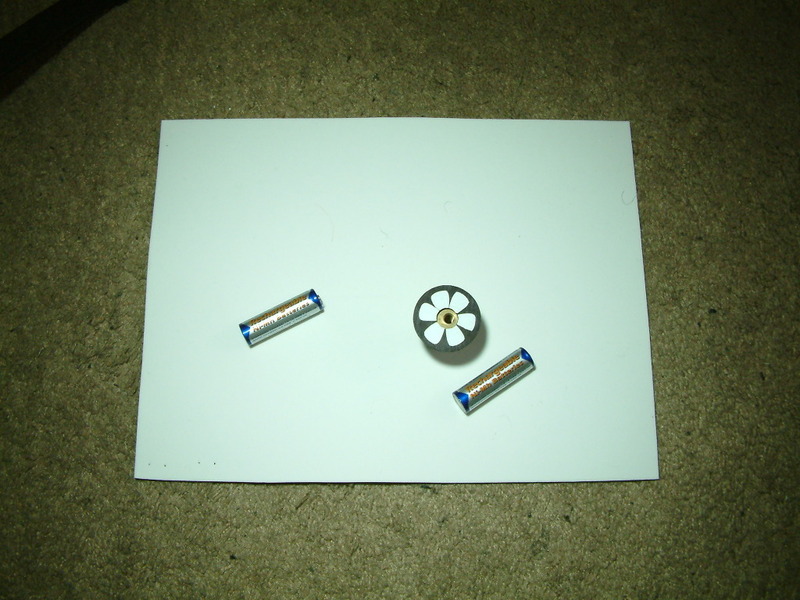 The power level switch will toggle the outer ring of LEDs. The base of the shoe mount is threaded for 14-20, and the SYD-0808 comes with a (rather cheesy!) plastic mounting bracket. 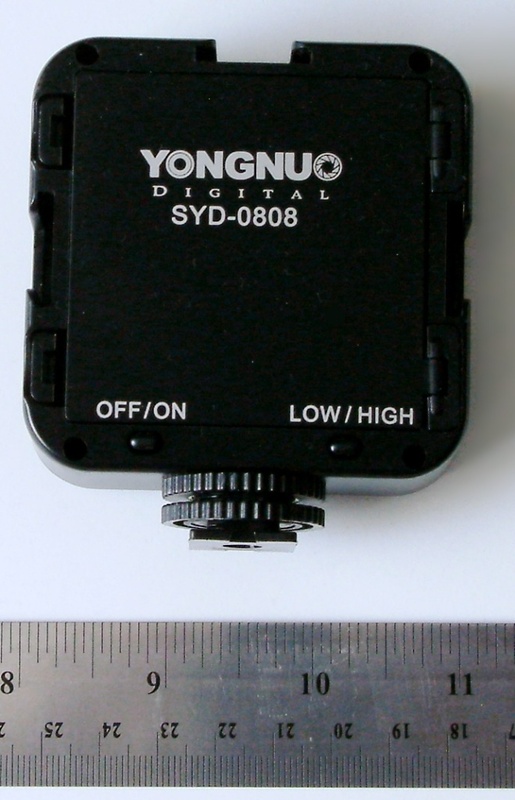 The Yongnuo SYD-0808 fits in your shirt-pocket and puts out a surprising amount of light. The light quality can best be described as “creamy”, and the color balance is a tad greenish compared to the light output of my flash. The color balance is easy enough to correct with a custom white balance or a gel filter. 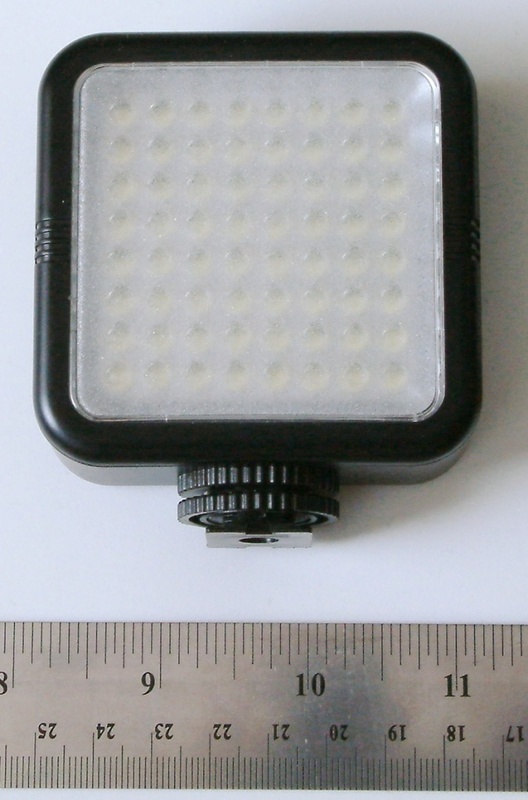 This is only a concern if you intend to use this light for video… and only if you are fussy. 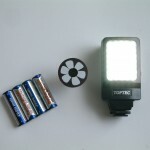 My intended use for this light is auto-focus assist and as an easy-peasy modeling light for my strobist kit. 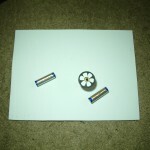 Both units are powered by 4 AA cells. They both cost about $35 each, and they both use LEDs. 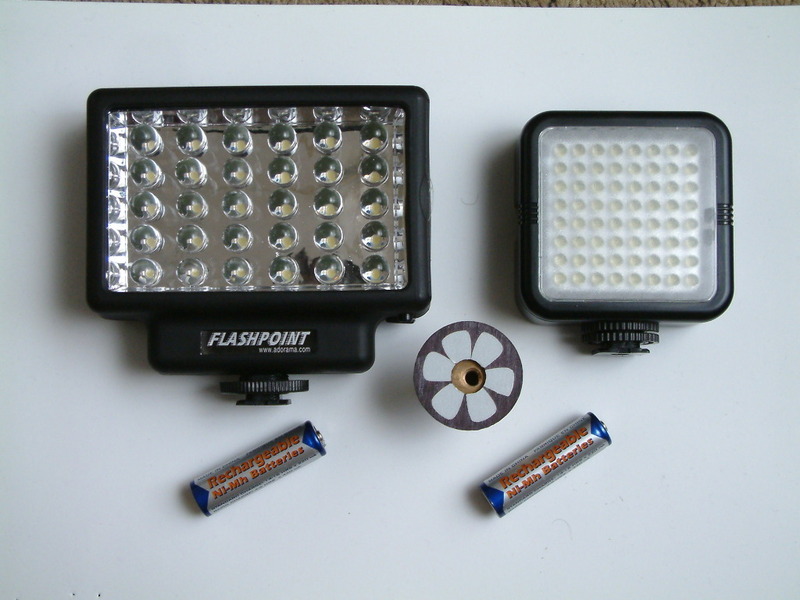 The Flashpoint uses 30 10mm LEDs, while the Yongnuo uses 64 3mm LEDs. 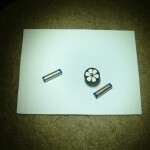 So far, I prefer the smaller size and more even light spread of the Yongnuo unit. 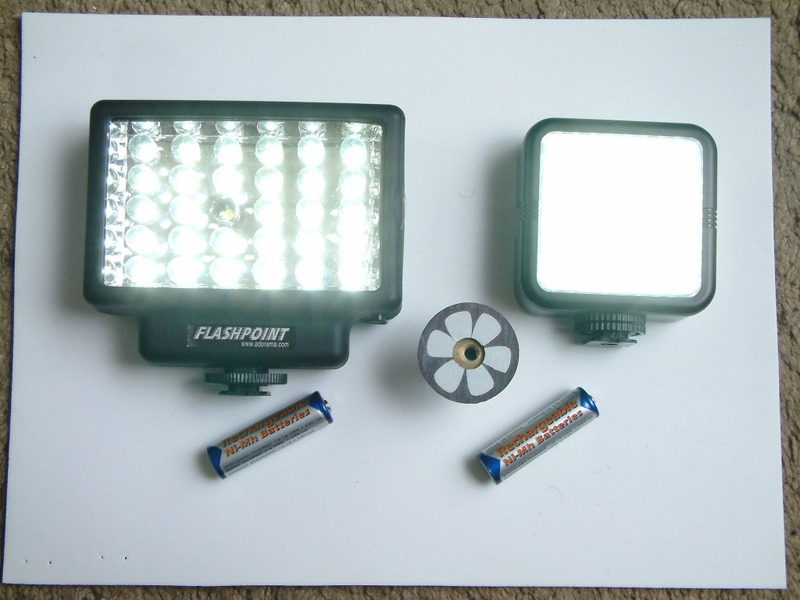 I had thought that the Flashpoint unit was significantly brighter… that is, until I made these images. The white balance on either of these lights is a tad greenish compared to that of my flashes. The Toptec DV-35 just came in today and I like it! 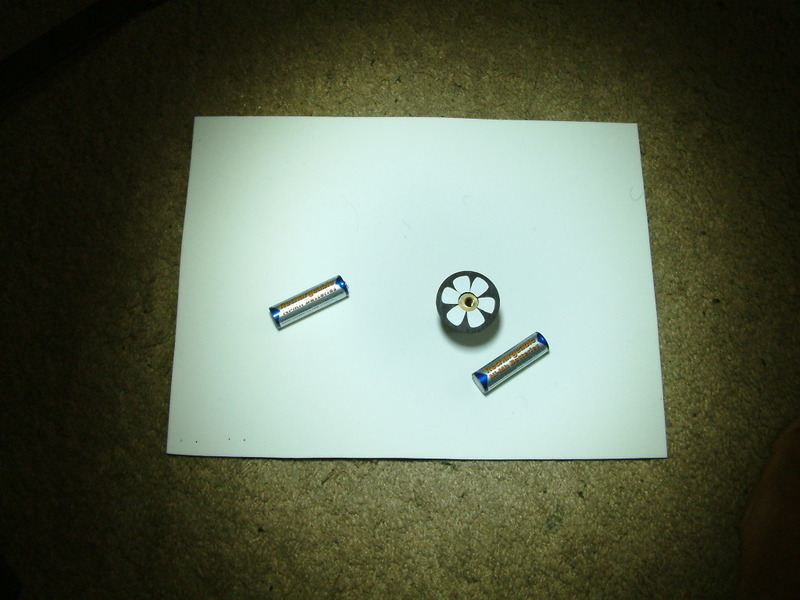 It is a significantly closer to the white balance of my flash than either of the other two units tested. It is also less bright, by about 1 stop, than either of the other two lights. It is also a tad more directional than the Yongnuo light. 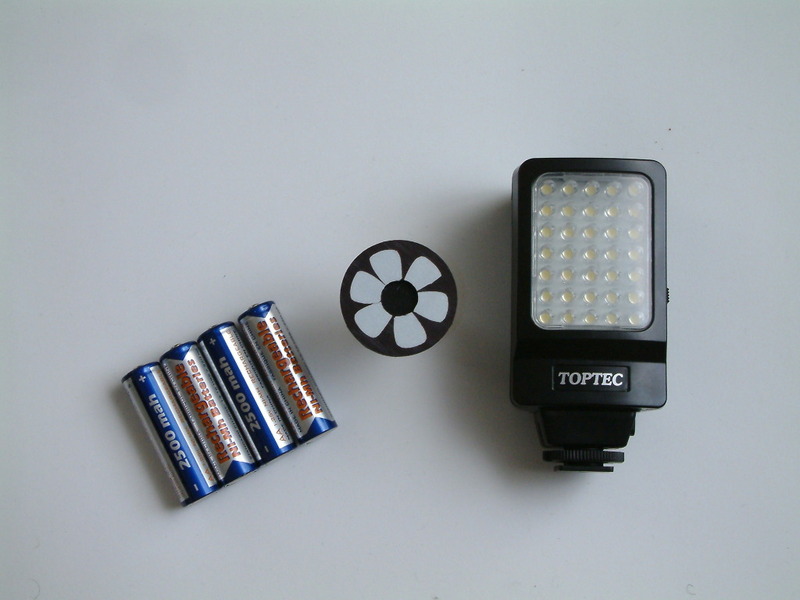 The Toptec uses only two AA cells to light up 35 five-mm white LEDs. The lens over the LEDs is not frosted. The light output is not adjustable. It comes with a straight metal “paparazzi” bracket, which is much nicer than the cheesy plastic one that comes with the Yongnuo. As I mentioned before, the light output is less, but for my purposes it is enough. Settings: 22″ away, full power @ f/4, 1/80 sec, Iso 400. 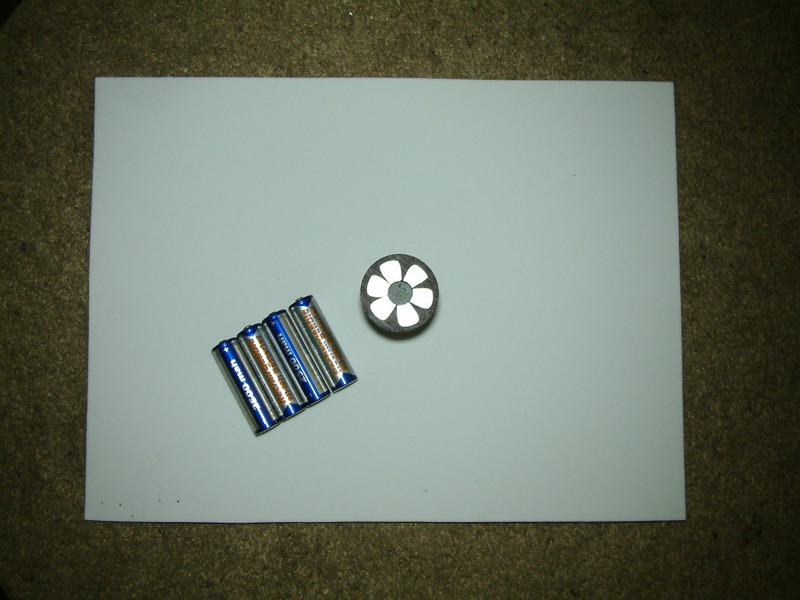 Any of these units could serve as an ersatz modeling light, so long as ambient is not too strong. Any of these lights is quite strong enough to give the wimpy auto-focus of my old bridge camera plenty to lock on to. 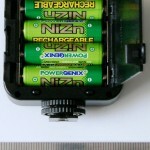 Yongnuo SYD-0808: US$28+ from DealExtreme, eBay or 8df.de. 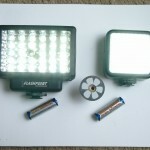 Flashpoint FPVL-30L: $32-3 from Adorama or DealExtreme. 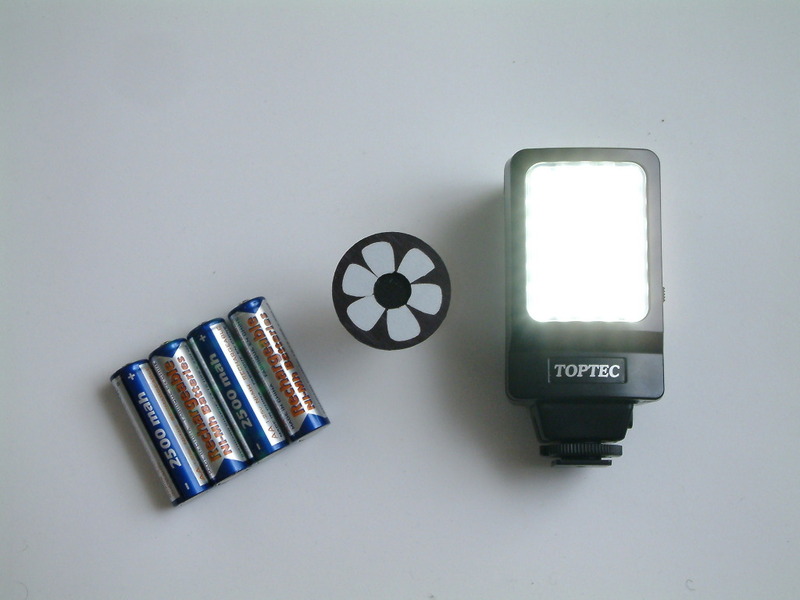 Toptec DV-35: $27-30 from DealExtreme or eBay.